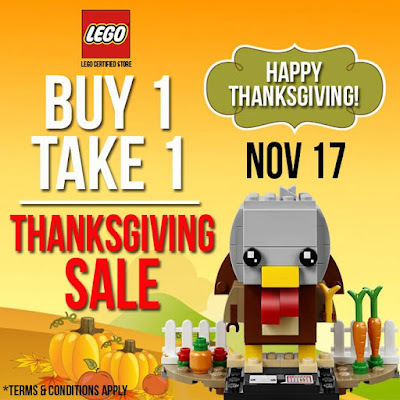 Check out LEGO's Thanksgiving SALE! 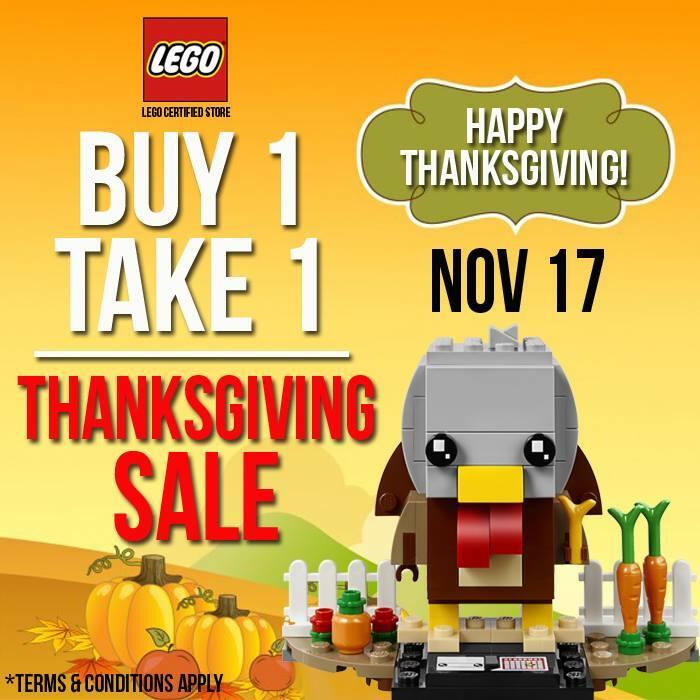 Enjoy BUY 1 TAKE 1 on any LEGO boxed sets on November 17, 2018 only in ALL LEGO Certified Stores nationwide! For every LEGO boxed set purchased, get a FREE LEGO boxed set of equal or lesser value! Promo is valid on November 17, 2018 only at LEGO Certified Stores: BGC Park Triangle, Alabang Town Center, TriNoma, Ayala Malls The 30th, U.P. Town Center, Centrio and Abreeza.